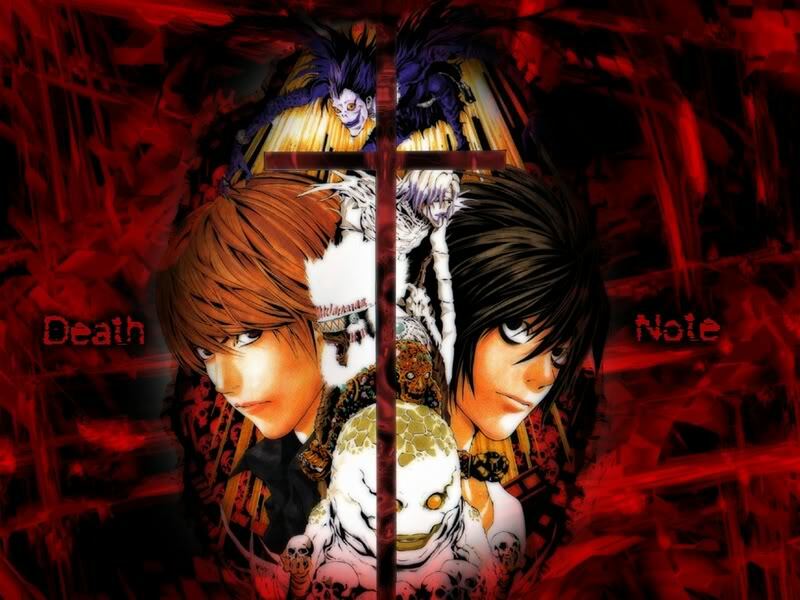 Plot Summary: Shinigami own notebooks called “Death Notes” which are used as killing devices. Whoever’s name they write down in a death note will die within 40 seconds. Shinigami Ryuku dropped his Death Note in the human world where it’s found by honor high school student Raito. With the death note actually having directions in it for its use, Raito discovers he now has the power to discreetly kill people, and with this new power he plans to change the world in his ideal world by killing off criminals. Eventually the governments of the countries around the world notice the unusual amounts of deaths of their criminals, and figure out someone is behind them, but they have no way of discovering it themselves. That’s when they hire L, a master detective, to find out who is behind the murders.